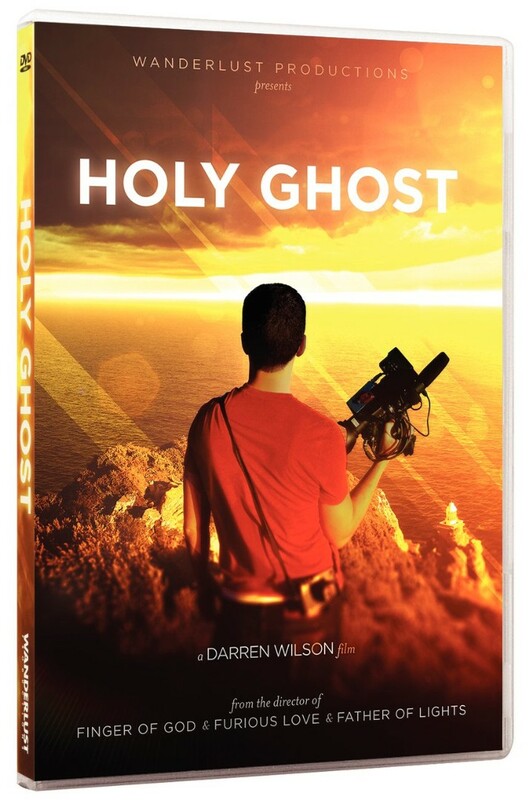 In Holy Ghost DVD, highly influential Christian movie and documentary maker, Darren Wilson, criss-crosses the world to create a feature length movie completely led by the Holy Spirit. Filmed with no plan and no agenda other than to follow and honour the will of God, Darren and his team of movie makers gave over the entire project to the guidance of the Holy Spirit. You will see God turn up in the most unexpected places to show people who don't even know Him how much He loves them and wants relationship with them. The result is a transformative, challenging and spiritually uplifting 113 minute experience in which the Holy Ghost takes entire control of the script, cast, locations and production of a documentary that is far bigger and more influential than any previous movie on the person and power of the Holy Spirit. This is a fast moving, globe-spanning story of real people totally given over to the day by day guidance of God’s spirit. Unique in its scope and concept, Darren Wilson (Finger of God, Furious Love and Father of Lights) together with of the greatest advocates of the faith (including Bill Johnson of Bethel Church), R.T. Kendall (When God Shows Up), Heidi Baker, Kim Walker-Smith, Phil Vischer, (Veggietales), Brian & Jenn Johnson (Bethel Music), Todd White, Banning Liebscher, Michael W. Smith and William P. Young (The Shack) go wherever the Spirit leads or sends. With a film-set that reaches from the marinas of Monte Carlo, to the slums of the oldest city in the world, this is a movie about risk and triumph. The crew simply show up wherever the spirit takes them to do whatever the spirit directs. It shows what can be done when we do not try to contain God, but simply give ourselves up to his power and direction. 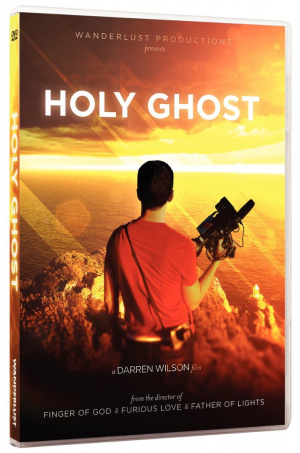 Holy Ghost DVD by Darren Wilson was published by Wanderlust in October 2016 and is our 42nd best seller. The ISBN for Holy Ghost DVD is 5060424955732. Very good, don't miss this! Wasn't sure what this film was going to be like, spirit led without a script seemed strange. However, it really showed God at work. Non-believers might explain some of the situations that the team was led into as coincidences. It became clear that, remarkable as it may seem, these weren't coincidences at all but all intended to link together. A completely different type of Christian film, very brave of the team to actually do this! Worth watching. A must see for all who are persuing true christianity and deeper relationship with Holy Spirit. Exciting! Got a question? No problem! Just click here to ask us about Holy Ghost DVD. Is there any booklet, study guide or any other addition printed material included with Darren Wilson's documentary? Can the Holy Spirit direct a movie? In this fast-paced documentary from the director of the popular films Finger of God, Furious Love and Father of Lights, Darren Wilson sets out to make a movie that is completely led by the Holy Spirit. No plan, no script, no safety net - just go wherever he feels the Spirit leading him to try and discover the adventure God has for him. Whether it's the riches of Monte Carlo, a heavy metal concert or the oldest city in the world, the result is a film that not only challenges and excites, but also reveals a God who is far more alive and active than you ever imagined. Subtitle and DVD Menu languages include English, French, and Spanish.